So I’m aware that Edmond Dantes is seen as pretty below-average for a 5 star servant in terms of performance, but there are a lot of things I like about him and I’ve been wanting to build a team around him basically since he has been released. It’ll be a while before Skadi comes to NA, so in the meantime let’s have some fun thinking of ideas to make him work until then. I just want to see people go wild coming up with ideas for teams or strategies to try and make Dantes as useful as possible in whatever role works. We can just forget about things like pointing out that a class advantaged servant is more useful than him most of the time or that Jalter is a better ST attacker or other such things. So, as far as my tactics go, Jack and Dantes go hand in hand on my teams usually. I almost always give Conversation on the Hot Sands to Dantes because it really pushes him into the territory of being a really solid single target crit attacker. Lately I’ve been using Jack’s Bond CE since it gives the whole team 25% more crit damage. I usually put 2030 on a third support teammate to keep more stars coming in just to ensure Dantes can hit crits. Generally I’m rolling with 30-50 stars a turn and the Count is doing anywhere from 28% to 53% more crit damage with increased star weight pulling them to him, pre buffs. In terms of who that third unit is varies, and I’m totally open to suggestions, too. Usually it’s either Hans or Merlin, since both of them can get even more attack boosts as well as crit damage going for Dantes, and he bursts for huge damage when he brave chains with the right set up and the right buffs. So being an all purpose ST crit attacker who laughs at class triangles has been working out for me so far, which is probably a far cry away from the AoE monster he becomes in the future. Anyone else have any hypothetical CE/Team compositions that could help our boy Monte Cristo to pull his weight in the current state of the game, or the near future? If you have Hot Sands on Dantes, and a Jack, it seems your best bet would be to go for Waver with a 2030. Even though it is a really standard pick for 99% of teams, a Waver with a maxed first skill and a Dantes that could actually pull stars that are coming from Jack would work wonderfully together. 50% crit dmg is no joke. Another option is Scathach (lancer) for her quick buff, or maybe even Brynhild with her crit asorb / heal to give even more crit stars to Dantes. Also eventually that gets buffed to a crit dmg modifier as well but that will prob be after Skadi gets here I think. Just checked and Scathach has a bond ce with 15% quick buff for all allies which sounds really good on a Jack/Dantes team. Atalante seems like another good option on that team with a party wide 50% quick buff but her issue would be stealing stars being an archer and all. I don’t normally do quick teams so I don’t play them often (mainly do arts teams) but alot of these seem really viable. 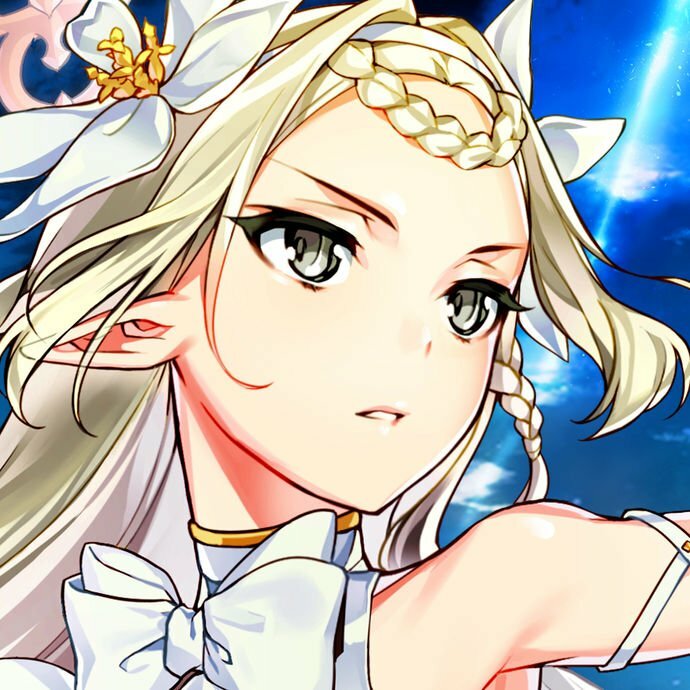 How about Support Nero Bride? With her +45% NP Gain and +40% Atk, it could help Dante approach the NP loop sweetspot. It won’t work. Tried it with NP5 Dantes, along with Waver and Nero Bride, his gauge after NP reached roughly 40% even with overkill. You really need Skadi’s NP gauge skill for loop. Both of these prioritize either Dantes’ NP, or his critical potential. If you have both, HNS is great for farming/AoE, while Talk will probably be stronger for ST. Imaginary Around works fine, especially since Dantes only has a 1 turn quick buff. However, only 3/6 of his cards are quick, so keep in mind buster cards ignore this, especially if you’re leaning into Merlin. All these do kind of similar things as the 5* CE, but just to a lesser degree. Sealing is like Hot Sands but without Damage, Gandr is small Imaginary around, Imaginary Element is a meh battery for damage but since Dantes has no natural battery it’s okay. Zelretch works well with his Golden Rule to TRY to do an NP cycle on a budget. Pretty simple. NP, Attack, Crit, and Defense down/curse on NP just like Dantes, so if you like curse damage… well, next year Dantes will do even more curse Damage! Very similar to Waver. As a support, dantes will get Attack, defense, critical Damage, and stars. Slightly less consistant due to %chance on NP but a great option if you don’t have Waver. The defence boosts these two bring are welcome for dantes. The main draw here is the potent quick buff on Primorial Rune. Aside from that… you’ll get a lot of quick chains rolling, I guess. Kind of similar to Scathach. The main purpose is for quick chains and heavy star drops to keep crits rolling. With this setup, Dantes isn’t so much the center stage servant, as he is a big hitting crit machine that rides on Jack’s powerful shoulders, since Jack’s skills don’t do much for him, besides a heal. A nice budget option for those who don’t have other quick pair up units. Alexander brings both a charisma as well as a party quick buff. As it stands, we have very few quick buffs that can be used on more than the user, and they last for 3 turns. His NP also gives stars, so that’s nice. Dantes is not without problems. While his attack stat is great, he only has one offensive buff, which only lasts 1 turn. This, paired with the lack of a good Quick support, has a lot to do with his problems. The FGO damage formula adds same stat boosts additively, but calculates damage by multiplying terms. As a result, Dantes really wants Crit Damage and Quick Card Effectiveness to make the largest gains, which isn’t too reliable until Skadi. Secondly, while dantes does indeed have a nice crit boost from his oblivion correction, he does have another issue… star weight. Dantes has an awful Star weight and struggles to tear crit stars away from anyone, even Casters. This can make it hard to pair him with certain classes, especially if you don’t have Talk on the Hot sands. With two open slots for another big hitter, support, or an anchor like Hercules. With this setup, you’d likely want to use the Combat Plugsuit mystic code. Turn 1 Alexander will drop stars for the others to get started With, throw a quick buff on Jack/Dantes, then swap with Waver so he can get his buffs rolling, too. Just keep in mind how low Dantes’ star weight is! If he’s on the field alongside Sabers, Archers, or Riders, there’s a very real possibility Dantes will not get too many stars without a CE assist. Dantes on Hot Sands+Jack/Kotarou/Cursed Arm Hassan/Cleo/Okita (any quality star generator who is not Rider or Archer) and someone to do support with 2030 (or it’s best substitute, Hot Springs Under the Mom MLB) is indeed a good idea. Dantes with MLB Holy Night Supper, a Waver with passive stargen CE and fully maxed Mash is also good, the def cuts/def ups do remedy his fraily, Mash can give invuln (save from NP)+20% charge. Use normal mystic code for heals. Or substitute Mash for Irisviel/Hans/Merlin with Divine Banquet/Formalcraft for constant heals and Beach/Zero Mystic Code for when you do the Quick Up. Caesar is the F2P NOT!Quick Supporter (aside from the real one, Alexander, hogger of stars…); a quick silver servant with tactics on the same level as altera, Charisma C of Alexander, a big 3-turns crit up with massive stargen up…just no survivanility support, sadly. In Agartha we are going to get lewd china loli Wu Zetian, a 4* assassin with a skill who gives AOE attack up AND quick up, 10-20% on both (sadly she is not affected), if you fail to roll Osakabehime and Skadi, she can do the constant quick support well, without hogging stars as much as Alexander, also having better stats (4vs 3…) and better hitcounts (but do put Hot Sands on Dantes). so my two cent for someone who have dantes to, and now i got okita, so i am in the quick train for now. So, from what i tested, the main problem with quick is, well quick. Quick have low damage yes, but thets not the main problem. The main problem is the first card bonus. 20% star drop on the first card is awfull. This is not enought. not at all. just think about the fact thet a single last quick is better then a first quick in a brave chain. So, in order to actually use a quick servant, you need to use full quick chain constantly, becouse any other chain is why worst for them. plus, all servant who have quick buff are on class with high star weight. So… now thet i have expressed what i think is the quick problem, the result of my testing. The most consistent why for a quick team is to compose it of 3 full quick dps with high hit count. this way you will have constant star and good damage . kind of like a car who’s engine is on and keep on going. Problem is, this kind of team lack buff, lack defence, and lack sustain. But if you put someone like merlin in, yeah you get all of this, but you ruin all the possible chain of your team.